Our shop in Tucson uses the latest auto body repair technology to get you on the road safely and quickly. Check out our frequently asked questions, see if we can answer some of your questions right here! Whatever your collision repair or auto body repair needs, look no further, get in touch with us today! With over four decades of experience in the highly competitive auto body industry, Vanderpool's Collision Specialists is a company that delivers quality and workmanship designed to routinely exceed expectations. We strive to deliver outstanding craftsmanship and top-grade professionalism to every single client without exception. Vanderpool's Collision Specialists is dedicated to providing our valued clients with specialized personal service. We go out of our way to ensure that your vehicle is handled quickly and returned to you in as perfect a condition as it was prior to any accident that may have happened. Vanderpool's Collision Specialists has a proven track record and reputation for offering outstanding quality service with the greatest attention to detail. Tucson residents can rest assured that when an unexpected accident does occur and your vehicle is damaged that our team of skilled and qualified professionals is always available and ready to assist you. In short, we help you to get back on the road quickly, safely and affordably. Our goal of complete customer satisfaction is the driving force that makes us one of the top auto body repair shops in the region. Our company has been built from the ground up on a foundation of quality and professional repair services. Contact Vanderpool's Collision Specialists today and see how fast and efficient auto body repair services can be when you hire the right company for the task at hand. 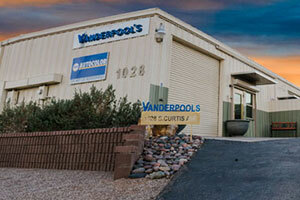 “Vanderpool's is a top notch company. I brought my Range Rover in for fender repair and they exceeded my expectations. The work was done in a timely fashion and it looks amazing. Highly recommended. “I first started using Vanderpool's in 2005. They have painted both my daily driver after it was stolen & my show cars. I always deal with Jason, who is both extremely knowledgable and helpful. Not to mention he dealt with my insurance adjuster so I wouldn't have to. All my vehicles painted by Vanderpool's get tons of compliments. The paint is smooth & glossy and the color is always a perfect match. There are no bubbles, paint-runs or imperfections. At car shows I am often told my paintjob is the best one there. “I've had my BMW repaired here twice. Wayne is a very nice guy and knows what he is doing. They are also ok if you bring your own parts. Specialize in high-end imports and he always has some interesting cars lying around. “Unfortunately my Infiniti has been in two fender benders in a matter of 6 months, but FORTUNATELY both times I've taken it to Vanderpool's. They came highly recommended, as they are very professional and are known for their superb workmanship. Wayne will make sure your vehicle is taken care of, and won't let your insurance try to cut costs. My first accident involved the driver side fender, bumper. head light & grill. The second was a hit & run, and involved my back quarter panel and bumper. Insurance wanted to use some adhesive to repair the back bumper, Wayne made sure they replaced it. 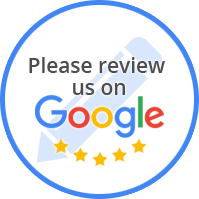 Vanderpool's Auto is absolutely one of the best body shops in town; with great customer service and fair pricing for quality work. Something you see less and less of with businesses these days. I had a friend who had his truck painted, and at the car wash his paint started to peel off. Unbelievable, I know!! !